MEMBERS DOWNLOAD NOW! 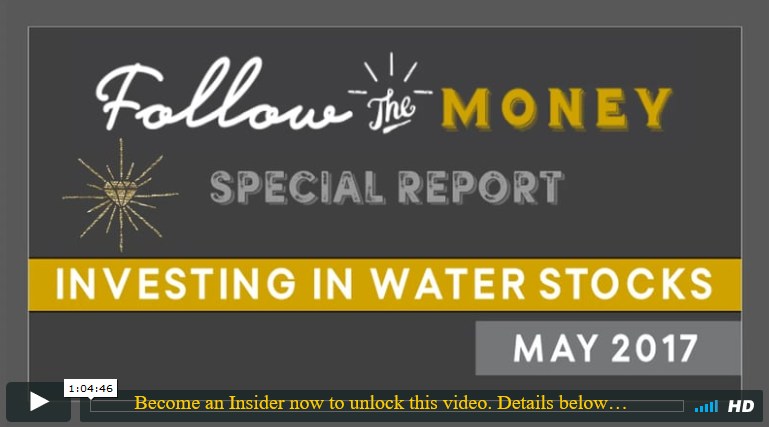 Exclusive for members only: SPECIAL REPORT: Investing in Water Stocks in 2017, in which Jerry Robinson reveals the top five water stocks from our SmartScore system. Become a member now! Expensive Ground Water. Tapping aggressively drives down the water table, making it more difficult to reach the water, and potentially even too costly. The Staggering Human Incentive. Are you aware that every 90 seconds a child dies from a water-related disease? What is SmartScore? Jerry’s provides an in-depth explanation of each of the seven metrics we use to rank stocks with our proprietary SmartScore system. Five Promising Water Stocks. Jerry unveils our SmartScore’s top five water stocks that are poised for profit in 2017. Charting the Markets. 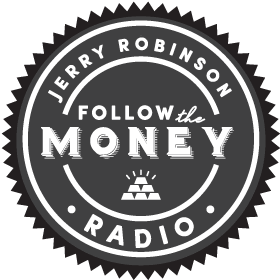 Jerry closes out today’s call with a look at the S&P 500, gold, and some of our recent trade of the day selections. DISCLAIMER: The services provided in the Gold member membership are intended only to provide information. Trading involves risk. Decisions to buy, sell, hold or trade in stocks, futures, securities, and other investments involve risk and are best made based on the advice of qualified financial professionals.